How many times have we been on the road, late at night, and seen a truck up ahead? The truck drifts a little bit over the line then moves back over to the right. You don’t normally like driving next to big trucks, but now you’re even more scared. You speed up once you’re close enough and pass him as quickly as you can. In 2012, 330,000 trucks were involved in accidents. From those accidents, there were 3,921 fatalities and 104,000 people injured. In 2014, there were 553 fatalities involving large trucks, just in Texas. These numbers show the real danger of truck accidents. But it begs the question of causality to be asked. 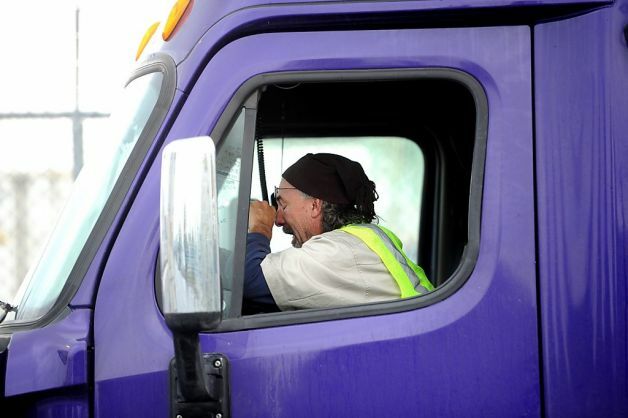 As it turns out, driver fatigue is the number one factor in large truck crashes. This is not surprising, as we all know how long truck drivers continue on the road without resting. But truck drivers are only legally allowed to spend a certain amount of time on the road without resting. Technically, truck drivers’ shifts begin when the engine starts. This doesn’t account for loading and unloading before and after. This also doesn’t account for any misinformation the drivers may put in their log books. There are many organizations trying to pass new legislation and create more awareness about the dangers of drowsy driving. One organization is Parents Against Tired Truckers, which was formed by a couple who lost their son to a truck accident. This organization has been trying to develop new technology to limit truck accidents, such as electronic log books or a “smart” baseball cap. Avoid the truck’s blind spots. If you can’t see the side mirrors, they cannot see you. Such as with a motorcyclist, don’t cut them off because it takes more time to stop the vehicle from hitting in to you. If you see unsafe driving, whether with a car or a truck, call the authorities and keep your distance. If you or a loved one has suffered a personal injury due to the negligence of a truck driver, you deserve compensation. De Lachica Law Firm understands your personal injury claim and is committed to helping you. Your personal injury case is in good hands. Contact Houston truck accident injury lawyer de Lachica Law Firm in Houston today.